July 10th brought the National Hot Dog Month 2012 tour to Cape Neddick, Maine and an iconic little joint out on Route One called Flo's Hot Dogs. 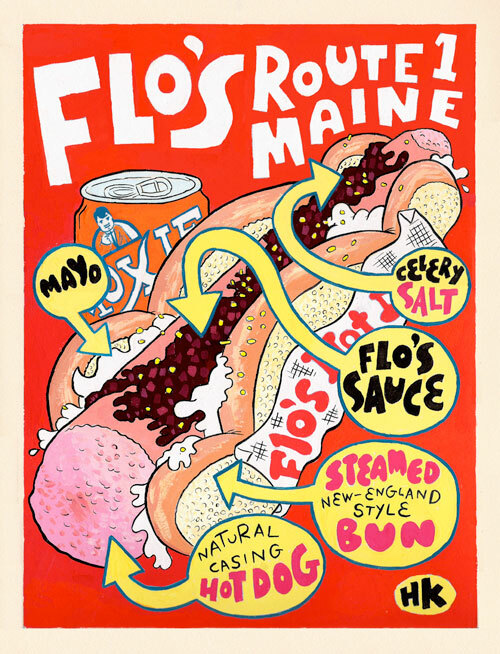 Flo's has been owned by the same family for three generations- 53 years to be exact. Current matriarch Gail Stacey's daughter, Kim, was working in the tiny, wood framed shack today. Gail is rumored to have quite a bit of "personality," but she and I share an aversion to a certain tomato based condiment, so I'm sure we would have gotten along just fine. Kim was a real sweetheart and shared a bit of Flo's history with us as she served up steaming hot Old Neighborhood Franks to locals and summer folk alike. 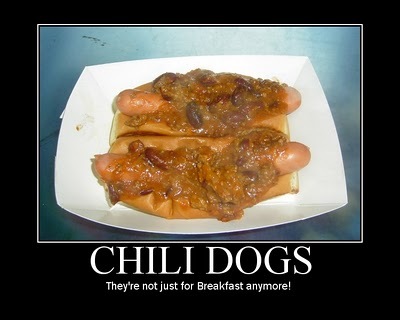 I ordered up one dog with Flo's special relish and mayonnaise and Drew got one with the works. Andrew Bennett, official National Hot Dog Month Tour photographer, took a bunch of pictures which are posted on the Hot Dog Stories Facebook Page. You can read the full write up about the visit to Flo's on Hot Dog Stories.